Another beautiful English hand-crafted piece from the Jupiter Rock workshop made exclusively for MumStuff and perfect for your favourite yummy mummy. 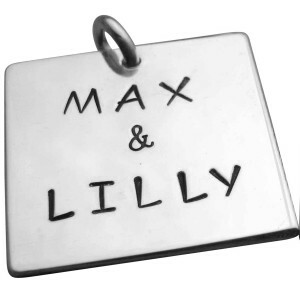 The tag measures 25mm x 25mm x 1mm and is presented on a sterling silver 18inch chain. The silver for each tag is hand cut, sanded and polished by hand. Large font - approximately 5 letters across, three words down. Small font - approximately 8 letters across, four rows down. * This item is personalised to order, so please allow at least ten working days for dispatch. If ordering other items, they will be dispatched separately. 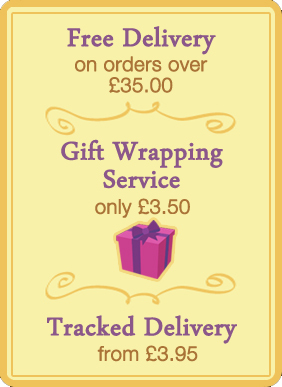 * All items are dispatched by Special Delivery (please note choosing Special Delivery will not speed up the dispatch). * This personalised jewellery can not be dispatched outside the UK. * Normal delivery times at the checkout do not apply to this personalised product.